At last the chance for a whole day of peace and quiet and time to try out the next tutorial in Journal Soup 2 by Kate Crane. 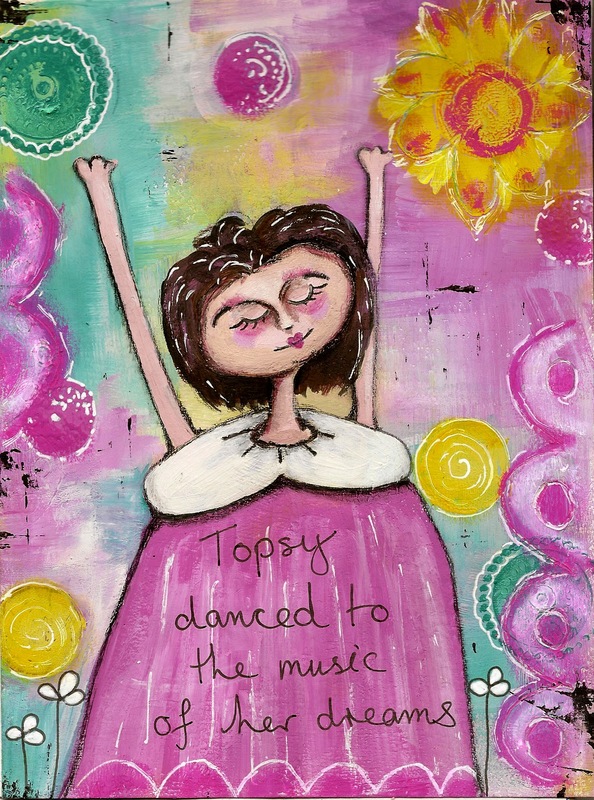 Part 4 is about drawing and painting whimsical figures. As anyone whose courses I've been on will know I'm not very good at sticking to the instructions, but I did my best this time, even going with the pink patches under the eyelashes. I did deviate though, from arms holding a cup of tea, to arms waving in the air. 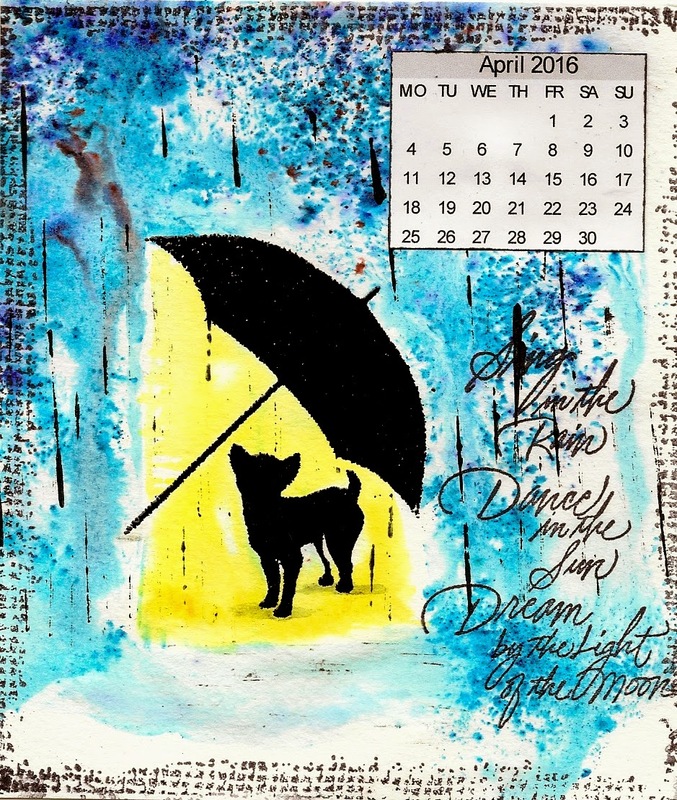 The April calendar challenge at The Craft Barn is Blue and Umbrellas. I must admit I struggled with inspiration and had to resort to Pinterest to get the ideas going. Firstly I embossed the umbrella and the dog and masked them off. I wet the paper all around the mask and sprinkled Brusho at the top of the paper, letting it drip down. Once the blue was dry I wet the paper under the umbrella and let the yellow run upwards. Using a wet paint brush some of the paint could be moved around to create the puddle underneath. The sentiment was stamped and rain drops added with paint on the edge of a credit card. Finally a little stamping was added to the edge to create a frame before adding the calendar. Thank you for taking a look. Why not pop over to The Craft Barn to see some of the other entries?